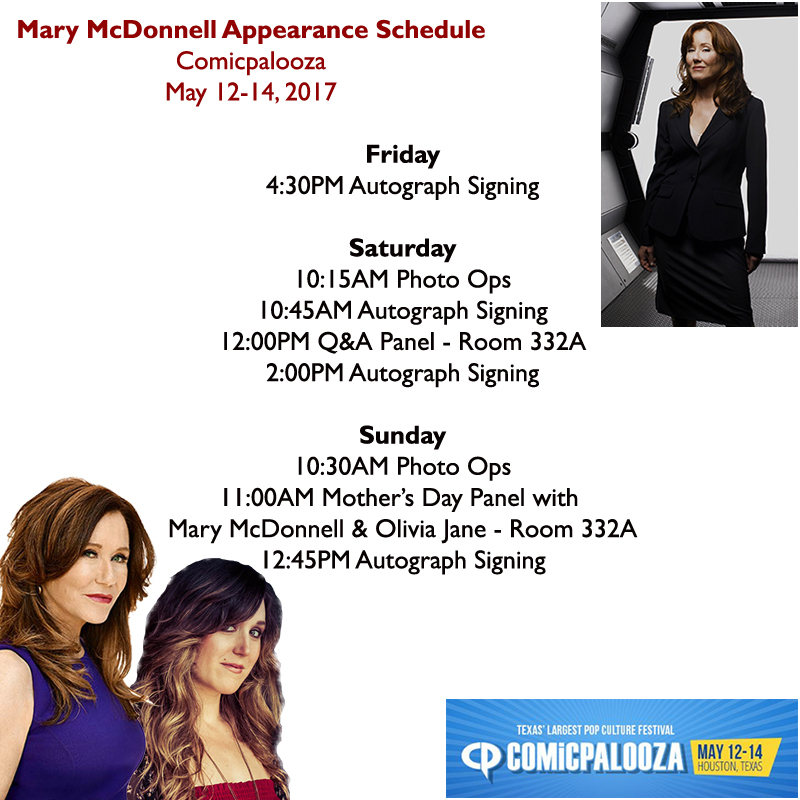 This weekend, come meet Mary McDonnell at Comicpalooza in Houston, Texas! 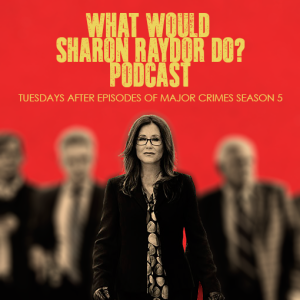 Mary will be appearing Friday, Saturday and Sunday, meeting fans and talking about Major Crimes, Battlestar Galactica, and much more! As a special treat on Sunday, Mary and her daughter, Singer/Songwriter Olivia Jane will be appearing together for the first time at a convention for a special Mother’s Day panel! And you never know what other surprises might be in store, so don’t miss it! Check out Mary’s appearance schedule below, and head to www.comicpalooza.com for more information. We hope to see you there! This entry was posted in News Stories and tagged Mary McDonnell by admin. Bookmark the permalink.